Construction of IFCo’s $1.8 billion plant began in March 2013. By late 2015, the new plant will begin producing between 1.5 and 2 million tons of nitrogen fertilizer each year. IFCo will be the first world-scale fertilizer plant built in the United States in nearly 25 years. Nitrogen fertilizer accounts for about 60 percent of global fertilizer use. The output of the IFCo plant will drastically reduce US dependence on imported fertilizer. In addition, a domestic fertilizer source will save farmers across the country millions of dollars annually. IFCo chose Yokogawa as the Operator Training Simulator (OTS) vendor for its IFCo complex due to Yokogawa’s proven capability with OTS in the fertilizer industry and track record in integrating Yokogawa’s OTS seamlessly with CENTUM VP Distributed Control System (DCS) and ProSafe-RS Safety Instrumented System (SIS). CENTUM VP, ProSafe-RS and OmegaLand were used for the development of the OTS for IFCo. Yokogawa’s simulator offers a highly accurate operator training system with a realistic feel, an environment for examining and verifying control methods, functions for plant optimization, energy saving designs, and online operation support through the use of modeling and simulation technologies. The IFCo OTS implementation is being carried out in the ammonia, urea, and nitric acid units. 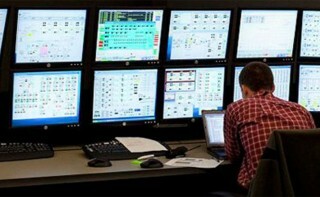 Yokogawa provided support by designing, developing, implementing, and testing the OTS in the processing units. About Iowa Fertilizer Company: Iowa Fertilizer Company (IFCo) is a wholly owned subsidiary of the Netherlands-based company, OCI NV, a global leader in nitrogen fertilizer production and an engineering and construction contractor. OCI NV has an international fertilizer distribution platform spanning from the Americas to Asia. IFCo is located in Southeast Iowa and near the western boundary of Illinois.